This is a haunting story of a family. Children who just lost their mother, a man who just lost his wife. The children are all living in Seoul; and it was time for their parents to visit them from the countryside. Unfortunately, when their father got on the train to Seoul, their mother was left behind at the station. They were not able to find their mother in the station. That was when their mother, Park So-Nyo, was declared missing. As they were doing everything they can to find their mother, the story tells the heart-breaking story of this family. Starting from Chi-Hon, the eldest daughter who became a successful writer. She started to remember how she treated Mother the way she shouldn’t have. Making her realize all the suffering her mother had gone through all these time. Realizing all the sacrifices a mother made, for her children. “… I don’t like or dislike the kitchen. I cooked because I had to. I had to stay in the kitchen so you could all eat and go to school. How could you only do what you like? There are things you have to do whether you like it or not…. 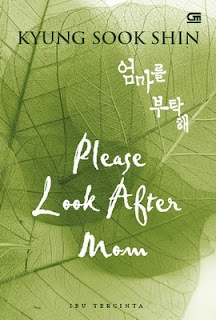 There’s also the story of the first and eldest son: Hyong-Chol; who was desperately looking for his mother, getting clues and hints time after time, but kept failing over and over again. Hyong-Chol then remembered too, how his mother had endured such hardships through her life; never complained once even though disease and sickness are eating her up. He also realized that somehow he made Mother felt guilty, because Hyong-Chol wasn’t able to fulfill his dream to become a prosecutor. And Hyong-Chol too, now realized and remembered all the sacrifices Mother had done for him. Realizing how Mother have loved him so much. Even the story of Father, So-Nyo’s husband, was told. They got married without even knowing each other during the war. And their relationship throughout their life was odd and awkward. Even though So-Nyo did everything she should as a wife, Father never appreciated nor pay attention to her. When she got sick, Father never had the urge to buy her medicine. He realized how much his wife had done for him; realized that he never treated her good enough, even though she had given so much. “… You didn’t know that one day you would miss your wife’s nagging, which used to go in one ear and out the other. 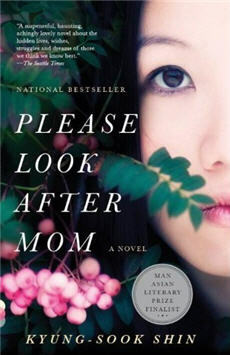 This book is a story how So-Nyo's family discovered what their Mother desires and hope for her family. A story that tells the relationship in a family, between a mother and her children. "Even if everyone in the world forgets, your daughter will remember. That your wife truly loved the world, and that you loved her." I have to honestly say that this story makes my heart ache so much. Even though the character Mother didn't show up a lot in the story, it feels like I know her character deeply; I feel her passion and love as a mother towards her children. And of course, reading this story reminds me of my own Mother, and thought of all the times I didn't treat her the way I should have. Definitely an incredible book, a well-written story and deep with emotions as well. For me, the most wonderful thing about this book is how the story is written from various perspectives. In the beginning, the story was told in second-person point of view; and then in the next chapter changed to third-person point of view, and there's also a part with first-person point of view. I've never read any other book written this way before, and I'm sure it's not an easy thing to do. Written in various perspectives, the emotions in the book are described so well, especially in the second-person point of view - because I felt like I'm Mother's child too. There are so many things I learned through this book. One thing is that you always have to respect and appreciate your parents, especially your Mother. We should do so, before it's too late and all that's left for us is regret. "Sister. Do you think we'll be able to be with her again, even if it's just for one day? Do you think I'll be given the time to understand Mother and hear her stories and console her for her old dreams buried somewhere in the pages of time? If I'm given a few hours, I'm going to tell her that I love all the things she did, that I love Mother, who was able to do all of that, that I love Mother's life, which nobody remembers. That I respect her." This book is also available in Indonesian language; the book is published by Gramedia. well, nyesel juga nggak beli ni buku last month. dan setelah baca review kakak, jadi pengen banget bacanya. inspirative. I felt my heart ache too during and after i finished the book. The mother in the book is well presented. She's a common mother who love her family unconditionally. Felt a bit puzzled in the beginning since i need to guess whose perspective presented in each chapter. But it is an awesome book! Love it.